Imagine a rugged wilderness filled with rocky peaks, crystal clear lakes, and towering trees just waiting to be explored. 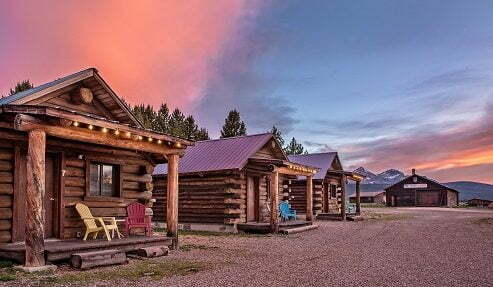 With a landscape as beautiful as the Sawtooth Mountains, you can’t help but spend most of your time outdoors during your stay at Triangle C Cabins. Our location is ideal for Sawtooth backpacking; not only are the trails impressive, the views you’ll see along the way are some of the best you have ever experienced. Adventure awaits at Triangle C Cabins. After you decide to embark on a Sawtooth backpacking excursion trip, plan out the rest of your time in Idaho. Our area is filled with countless other excursions; for a list of handpicked, local recommendations, take a look at our complimentary Adventure Guide. This valuable resource has helped so many travelers plan unforgettable trips to Idaho, so get a copy today! Make sure you pack warm clothes. This area gets cold at night, even during the summer. If you are planning on camping, make sure to bring a warm sleeping bag. A sleeping pad is also preferable for sleeping on the hard ground! If you are camping, bring a light tent. You will be carrying it throughout your hike, so keep that in mind. Water and food is obviously a must, but you should also bring a water purifier so you can drink right from the lakes and streams. You should also plan on bringing a bag and rope to hang it from a tree so you don’t attract any animals. Bug repellent and sunscreen are highly advised. Even when it’s chilly, the sun is still shining and the bugs are out! A first aid kit might come in handy. It’s better to be safe than sorry, especially when you’re out in the wilderness. The rugged terrain provides breathtaking views. You might want to capture the landscape by bringing a camera; you’ll want to remember your Sawtooth backpacking trip forever. 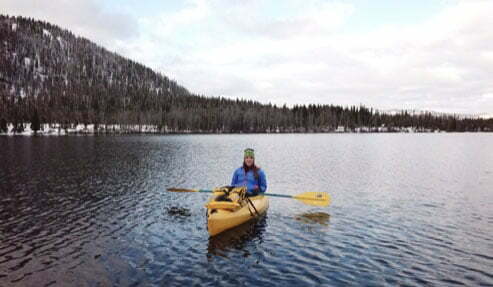 One of the most popular trails in the area is the Iron Creek Trail to Sawtooth Lake. Here, you will find gorgeous mountain peaks, a sparkling alpine lake, rugged greenery, and more. If you would like your Sawtooth backpacking trip to consist of multiple days, there are other trails for you to enjoy in the area and camping spots around the lake. This Sawtooth backpacking trip begins in a unique way. Take the Redfish Trailhead Boat Shuttle across Redfish Lake to reach the Redfish Inlet trailhead. You’ll love beginning the trek this way; you slowly leave behind the bustling shore as you make your way into the calm of the wilderness. When you get to the trailhead, all you have to do is sign a free wilderness permit, then you’re on your way. This trail is right next to Redfish Lake Creek, so you’ll be treated to the sound of running water and views of small waterfalls. If you would like to be guided through the rugged terrain, Sawtooth Mountain Guides can take you on the trek of a lifetime! These knowledgeable guides will lead you through anything you could possibly want to do in the area, including Sawtooth backpacking. With over 350 miles of trails, it can be challenging to know where to go. With these guides, you can choose a day hiking excursion or opt for a challenging multi-day trip. After your Sawtooth backpacking adventure, come back and relax at Triangle C Cabins. Let our cozy cabins be your home base during your Idaho excursions! When you’re traveling through the wilderness, all you need is a warm place to sleep at night and comradery on the property. You’ll love joining other adventurers at the campfire pit at night or challenging a neighbor to a volleyball match at our net. Book your cabin today!